House of Representatives Gives Corps of Engineers Marching Orders: Finish Soo Lock Cost/Benefit Study Now! In 2017, the Poe Lock handled virtually all of the 39 million tons of iron ore passing through the Soo Locks destined for American steelmakers. Congress authorized construction of a second Poe-sized lock in 1986, but the project stalled due to an inaccurate Corps estimate of its benefits. The Corps has acknowledged that the initial benefits estimate was based on the false premise that the railroads could move the cargo stranded by a failure of the lock and is recalculating it. An Economic Reevaluation Report is expected soon and the updated benefits estimate should enable the project to be funded. Construction of new locks at the Sault Ste. Marie, Michigan, has often been tied to national defense. The now obsolete Davis and Sabin locks were built during World War One. The MacArthur Lock was constructed at a furious pace to meet demand for iron ore during World War Two and 10,000 troops were stationed at the “Soo” to guard the Locks. Work began on the Poe Lock in 1961, the height of the Cold War. The importance of iron ore to national defense was further underscored when just 10 days after the Japanese attack on Pearl Harbor Congress appropriated $8 million of the construction of a near polar-class icebreaker for the Great Lakes. 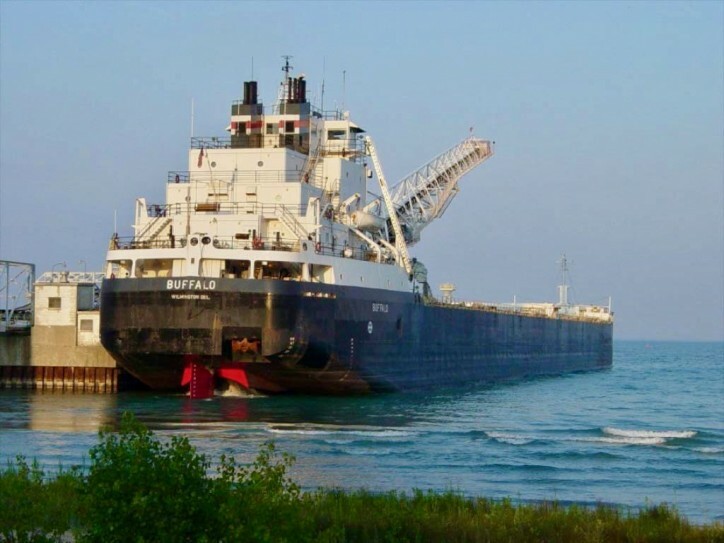 That vessel, the MACKINAW, was launched in 1944 and served the Lakes with distinction until 2006.